This is barely a mall, but it is undoubtably dead. It's smaller stores are ALL gone, except for one antique store that's opened on like every other tuesday, if there's a blue moon, and the price is right is a re-run that day. There is a snack bar, but I think it operates on the same schedule as the antique store. The escalator is always running, and there are cameras in the narrow hallways, which always makes me think of the Bill Murray movie Quick Change. (WHY ARE THEY LOOKING AT ME!!!!) Anyhow, it's creepy and clausterphobic in there. 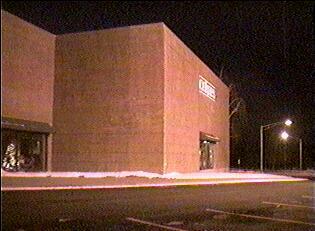 I've been able to get into the place once, when the antique store was opened. When I came back with a camera, the doors were locked. Cohoes, the store that was originally housed there (way back at the turn of the century) apparently decided that it wanted to have a mall of it's own. 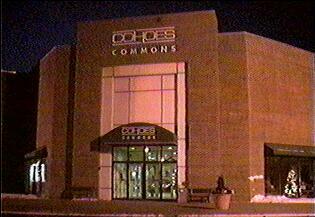 So they were the anchor, and they added onto thier very old store, circa 1992 to make the Commons part. I don't know how well the commons did, but they all look like they were once occupied, but I do know there is nothing there now. I would suspect when Cohoes pulled thier store out of thier own mall, that might have signalled for the smaller stores to follow suit. (It seems pretty obvious to me). Anyhow, it's got a freshly paved parkinglot, and looks really spectacular from the outside (it's all brick), but good luck getting in. I would say it's not really worth making a trip from any distance, it's too small to be interesting, and the cameras are really creepy, even if no one is watching you on them.